FIMBA - Ballsbridge University , Quality Accredited Education, Promoting Lifelong Learning and research,MBA, PhD. DBA. 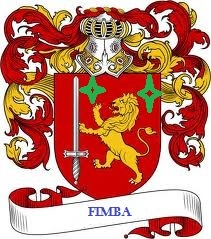 ..
FIMBA is a professional institutional body of the Ballsbridge University . It has members from over 75 countries. Professional membership of FIMBA is a mark of competence in management and Business administration . Members are highly respected in the society as experts in the management field . To encourage management excellence and specialist expertise. To help members achieve their personal aspirations, fulfil their career ambitions and develop their innate potential. To support lifelong learning and encourage education in management and specialist areas. To give professional recognition to the knowledge and skills of managers and specialists. Membership Applicants will be assessed on their Education, Training, Knowledge, Skill and Experience and responsibility. Due consideration will be given to those who are qualified only by practical experience. There are many people who, through no fault of their own, have not had the opportunity to gain academic qualifications during their careers. These people may also apply for membership based on their own individual merits, practical experience and position. Use of the appropriate designatory letters. Progression on to a degree programme. Free advert in the journal when seeking a new position. Free advert in the journal when recruiting for your company. Applicants should be currently studying a relevant management program. The applicant should have completed the first year of a course of studies or be qualified up to andvance level (QCF) Level 6. Applicants should have completed one of the following: Specialised Master of Management Degree or NQF Level 7 chartered, professional and senior management courses. Seinior professionals with at least five years experience holding chartered professional qualifications may also be accepted. Doctor of Management graduate, QCF Level 8 and those in a senior management or specialist position. Current ICP Fellows currently working in a senior management position may also be accepted. 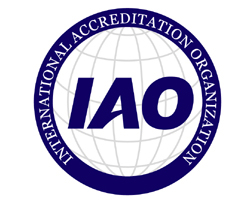 The equivalent worldwide qualifications will apply in each grade. Application can be made to be upgraded to the next level of membership as further Knowledge, Skills and Experience (K.S.E.) is gained. Subscriptions are due annually on the date of election. Ballsbridge University provides its services and/or products to all individuals without regard to race, color, creed, disability, gender, or sexual orientation. Ballsbridge University makes every effort to ensure the accuracy of information found in its publications and on its web sites, it assumes no responsibility for the authenticity, accuracy or validity of opinions expressed and represented therein. Links to external web sites do not constitute endorsements of products or services. Accordingly, the University cannot be held liable for any damages resulting from its programs, activities, print materials or electronic communications. Copyright © 2011 Ballsbridge University. All rights reserved.